City trip fans unite! 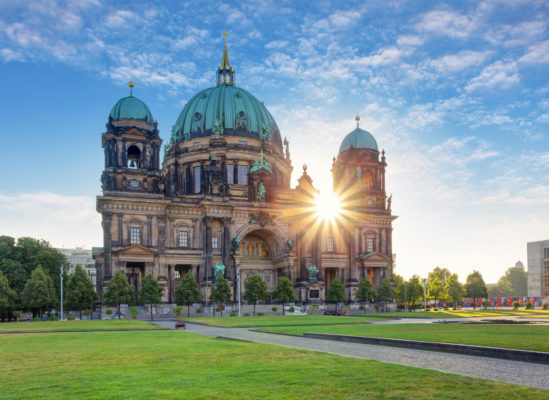 With this great deal from Secret Escapes you will get to spend 2 days in Germanys beautiful capital for 369 kr only. That price includes the nights at the amazing 4* nhow Berlin hotel, breakfast and a welcome drink. You will stay in a nhow River View Room of the first music hotel in Europe! You are located at (and over!) the Spree. The futuristic and stylish interior was designed by Karim Rashid. Want to relax a little after a long day full of sightseeing? Head over to the spa area with the saunas, steam and relax rooms. On TripAdvisor, the hotel received an amazing 4.5 out of 5 rating from over 3.500 reviews and was awarded with the certificate for excellence. Take a look at the Reichstagsgebäude, plan enough time for the Museumsinsel and definitely visit the famous East Side Gallery! There are plenty available dates in the months of January – May. Don’t forget to take a picutre with the Brandenburger Tor! Let’s go to the Berlin deal! Sign up for my Newsletter and don’t miss anymore deals. You’ll be the first to find out about our Berlin bargains!